The Arizona Anthropologist is a competitive high quality annual journal designed, reviewed and published by an editorial board of graduate students in the School of Anthropology at the University of Arizona. The Arizona Journal of Interdisciplinary Studies is a student-led journal focusing on interdisciplinary research in the humanities, arts, and sciences. In keeping with the University of Arizona’s mission as a public research university, this journal will continue to serve as a forum for innovative scholarship and research on the region. The Arizona Working Papers in Second Language Acquisition and Teaching is a publication of the University of Arizona Interdisciplinary Ph.D. Program in Second Language Acquisition and Teaching (SLAT). The Working Papers were conceived as a source for scholarly dialogue among SLAT students, SLAT faculty and the second language research community at large. They are intended as an opportunity for doctoral students in the field of second language studies to experience the publishing process as well as an outlet for established second language researchers to present work in progress. The Guide Series provides overviews, selections of finding aids, reproductions of archival materials, bibliographies, and essays by scholars who worked closely with some of the keystone archives at the Center for Creative Photography (CCP) at the University of Arizona. While not intended to be exhaustive, these issues, along with The Archive, aim to encourage and facilitate the use of CCP’s primary source materials. CCP holds the premiere research collection of American photographic fine art and archives, promoting creative inquiry, dialogue, and appreciation of photography’s enduring cultural influence. Indigenous Stewards is a product of the Native Environmental Health Stories Project. It was created in collaboration between the Southwest Environmental Health Sciences Center at the College of Pharmacy and the Center for Ecogenetics at the University of Washington. The publication focuses on issues and topics related to the health and the environment among Indigenous communities. 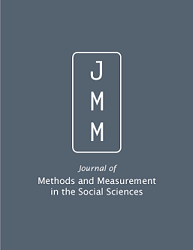 JPE is a peer reviewed journal (ISSN: 1073-0451), one of the longest standing, Platinum Open Access journals in the social sciences. It began in 1994 and welcomes submissions in English, French and Spanish. We only publish research into the linkages between political economy and human environmental impacts, across different locations and academic disciplines. Articles need to show a contribution to the interdisciplinary field of political ecology, otherwise we will suggest publication elsewhere. The Editors managing articles are Simon Batterbury (Lancaster University/University of Melbourne: speaks English and French) and Casey Walsh (UC Santa Barbara, USA: speaks English and Spanish). Walsh handles articles dealing with the Americas: Batterbury for the rest of the world. Articles are double-refereed, which can take up to 3 months [longer if referees do not reply!] . The journal Lymphology, is the official organ of the International Society of Lymphology. It includes papers and special symposia dealing with clinical and basic studies of the lymphatic system and related fields. Original ideas, bold hypotheses, historical reflections, and exciting observations are printed in "Lymphspirations" and interesting images are published in "Lymphographias". 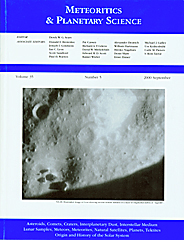 The Meteoritics & Planetary Science Archives provides open access to Meteoritics & Planetary Science Volumes 37-44 (2002-2009), published by The Meteoritical Society. 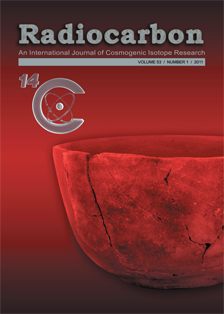 As of 2016, Radiocarbon will be published by Cambridge University Press. Please check the Cambridge Online site for new Radiocarbon content and submit manuscripts through the new platform. 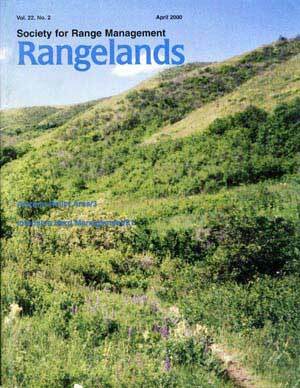 The Rangelands Archives provides open access to Rangelands Volumes 1-37 (1979-2015). Current issues are readily available with membership in the Society for Range Management (SRM). Welcome to the Rangeland Ecology & Management Archive. The journal Rangeland Ecology & Management (RE&M; v. 58, 2005 – present) is the successor to the Journal of Range Management (JRM; v. 1-57, 1948-2004). The Archive provides open access, in a “rolling window” agreement with SRM, to both titles (JRM and RE&M), from v.1 up to five years from the present year. 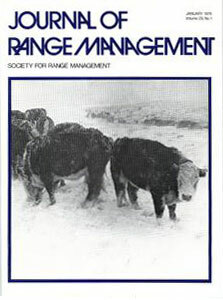 The most recent years of RE&M are readily available through membership in the Society for Range Management (SRM). Membership in SRM is a means to access current information and dialog on rangeland management.